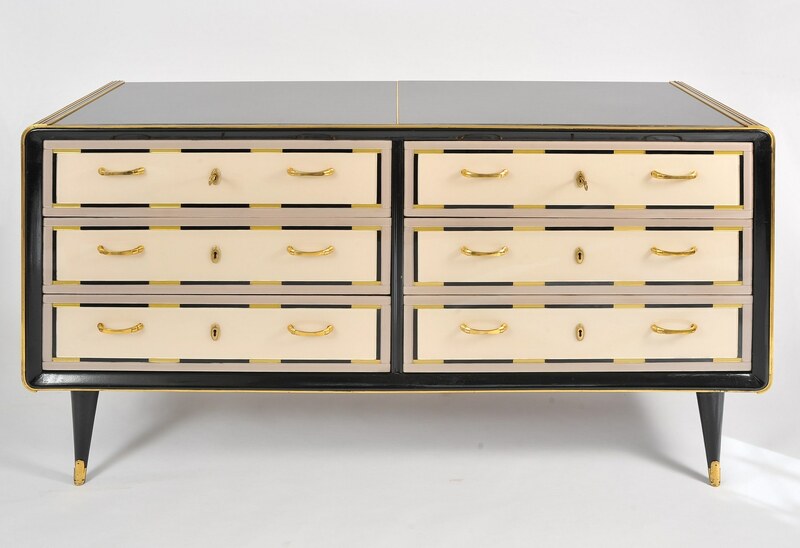 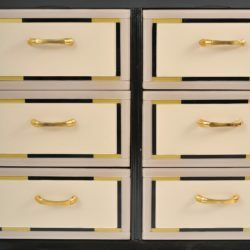 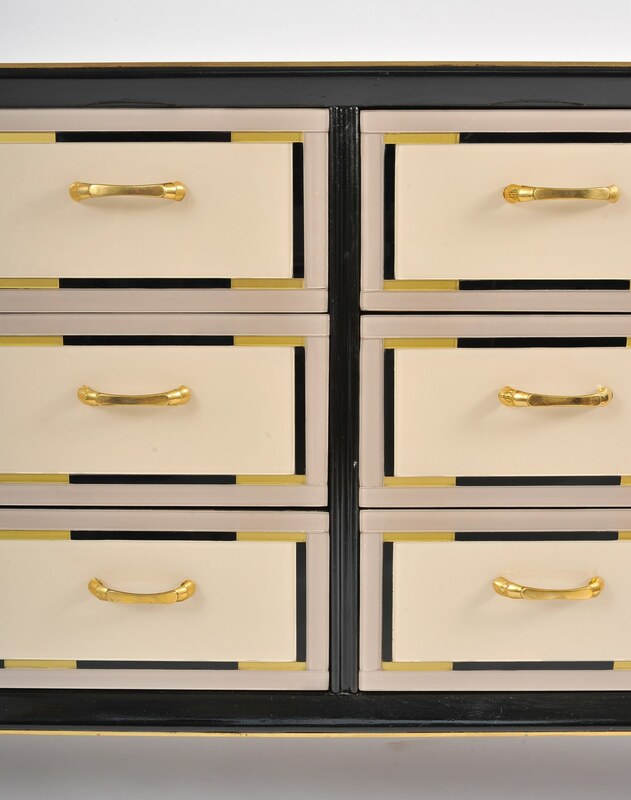 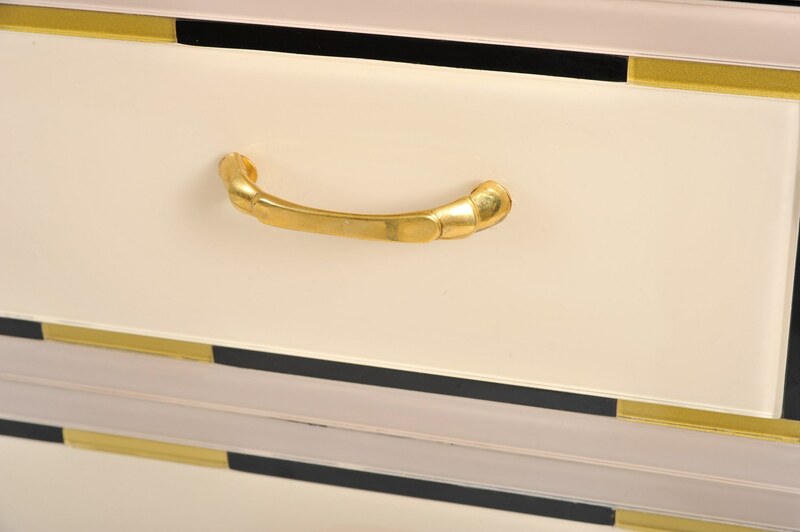 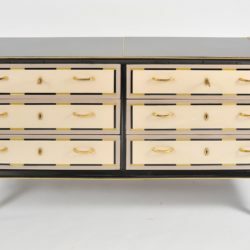 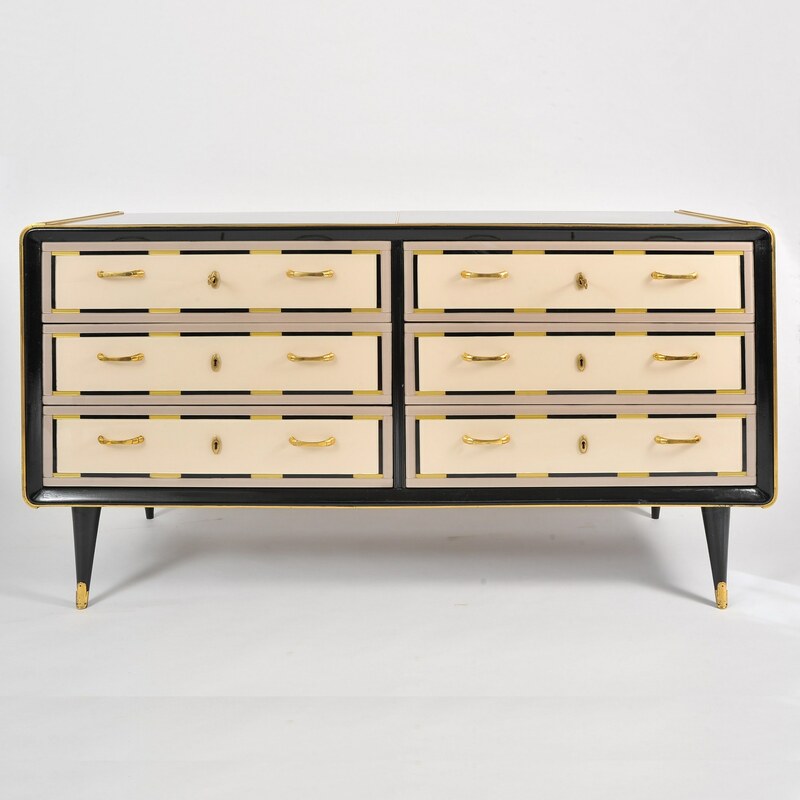 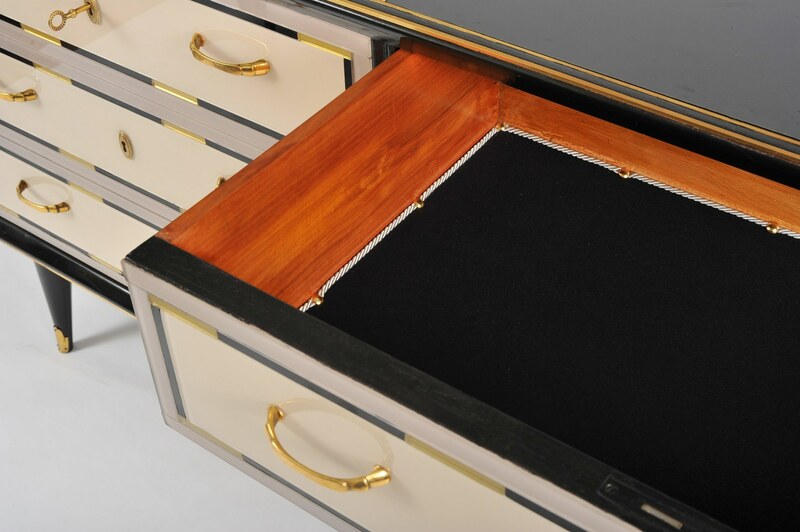 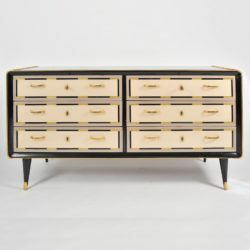 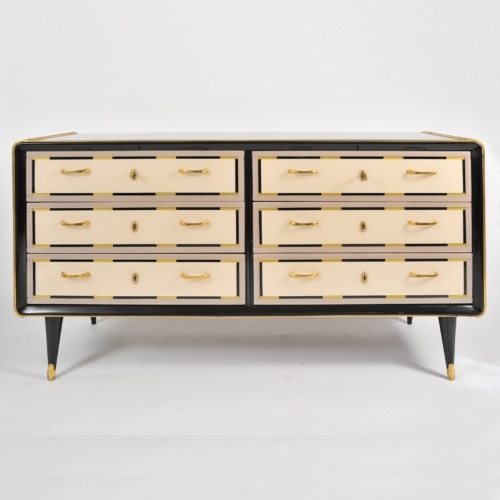 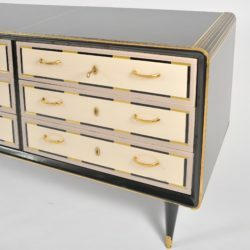 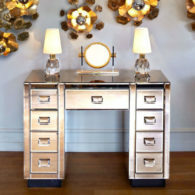 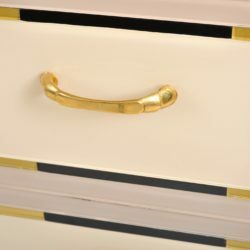 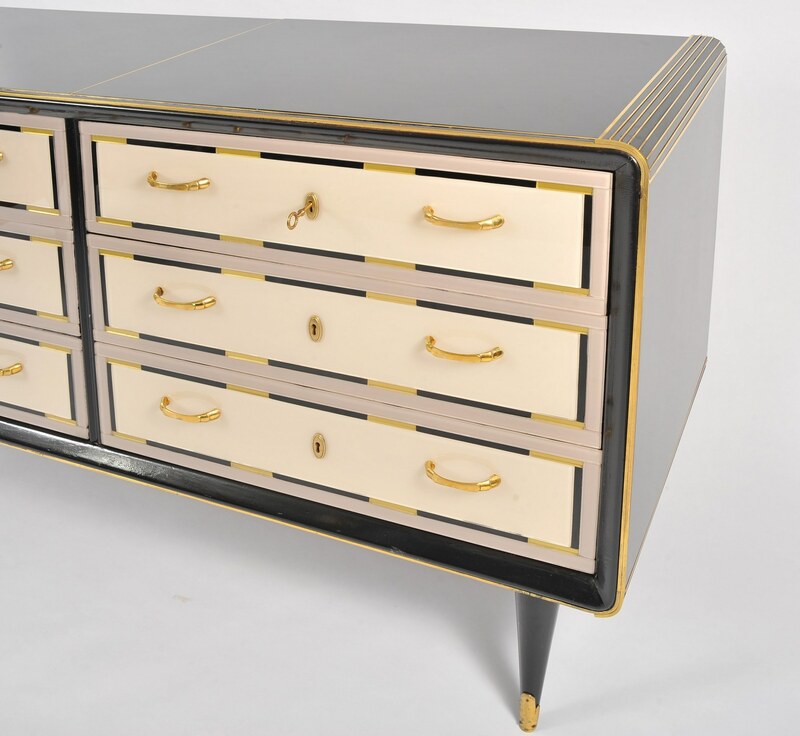 Subtle combination of cream glass drawers all with dusty pink surround and black and gold details. 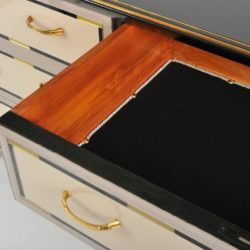 Black glass top with curved corners. 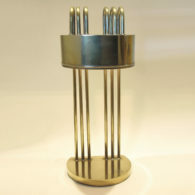 Brass handles and sabots on turned wooden legs.